It’s a good question. The simple answer is no–not by a long shot. Most of the meat available to consumers at traditional grocery stores is raised on large-scale industrial feed lots. These profit-centered operations often confine large numbers of animals in close quarters, administer hormones to speed growth for quicker turn around to harvest, and feed inexpensive GMO grains laced with antibiotics to prevent the spread of disease. Commercially grown GMO feed crops, primarily corn and soy, are also heavily sprayed with pesticides. In turn, chemical residues accumulated in the fatty tissues of meat animals who eat them are likely passed down the food chain to consumers. 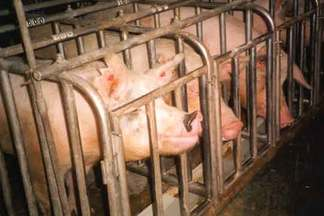 In addition, livestock raised on these large factory farms are often subjected to over crowding and inhumane practices including de-beaking, tail-docking, de-horning, tooth clipping, nose rings, use of electric prods, gestation crates, and tethers–to name a few. Many enlightened consumers are trying to make more ethically based choices about the meat they buy. They want to support both humane husbandry and sustainable agriculture practices which place a high value on quality of life and land. But the grocer’s meat counter can be confusing, especially since words like natural, farm fresh, and even organic in reference to meat animals does not necessarily equate with humane husbandry. The parameters are much more straight forward when applied to produce. If labeled organic, shoppers know they are getting fruits and vegetables grown without the use of synthetic fertilizers or chemical pest control. Yet with regard to meat animals, semantics are deceiving. 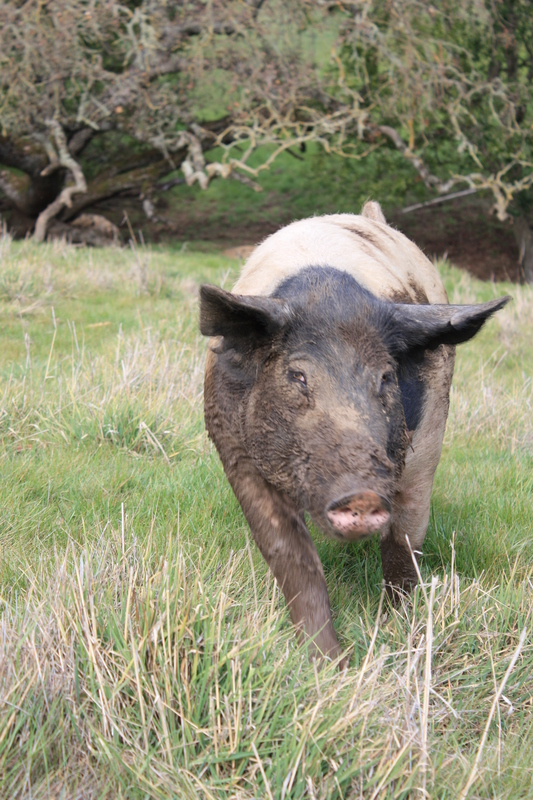 Consumers are lead to believe that buying meat labeled “organic” equates with a high standard of animal welfare, which is not necessarily the case. In reality, the organic label may indicate livestock were simply fed a diet of certified organic grains, rather than raised in quality living conditions. 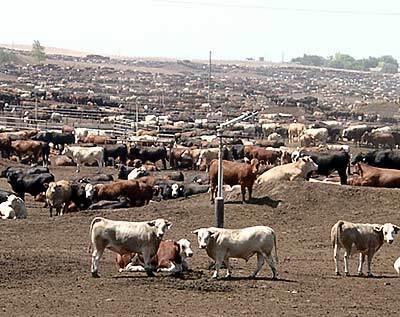 An animal can legally spend its entire life in a feedlot setting without access to free-range or grass, and still be labeled “organic” by virtue of the feed it is given. Shop direct from the source at local farmers’ markets. Ask questions about the farm’s philosophy and husbandry practices. Find out if you can visit. 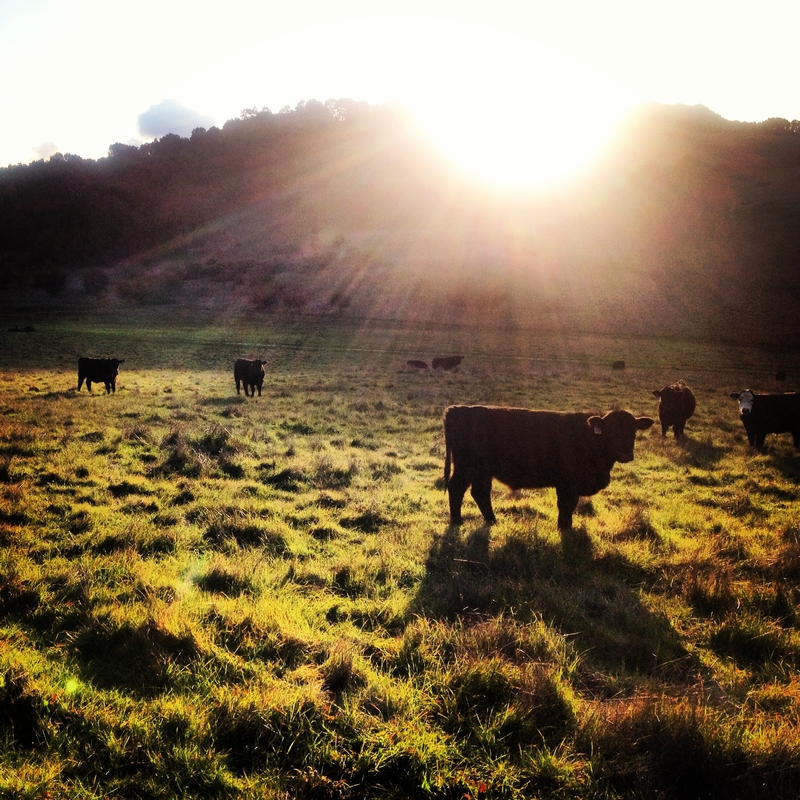 Many ranches offer tours affording patrons an opportunity to see where their food comes from. Patronize specialty grocers like Whole Foods Market that are committed to selling meat sourced from sustainable farms where animal welfare is a priority. Look for meats labeled grass-fed, pasture-centered, free-range, and cage-free, as well as organic. Not only do the animals lead a quality life, their meat is higher in nutrients like omega-3 fatty acids. 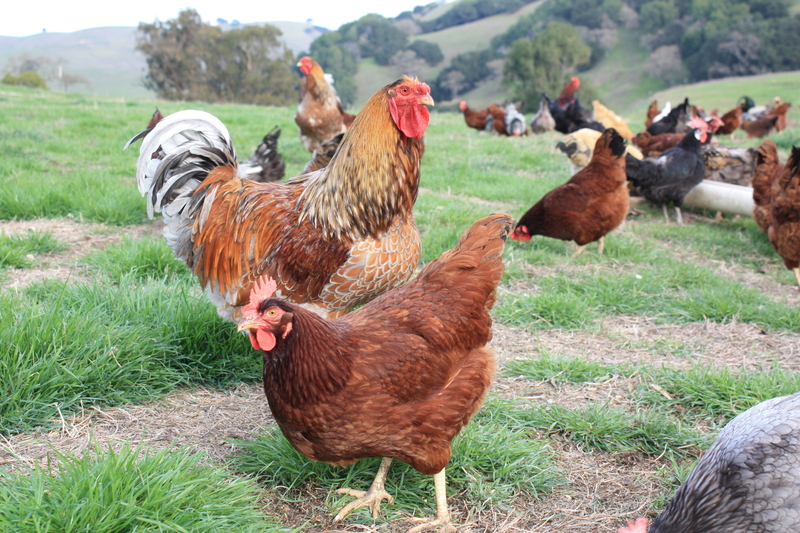 *Certified Humane Raised & Handled; a label which insures animals are treated humanely from birth to slaughter. 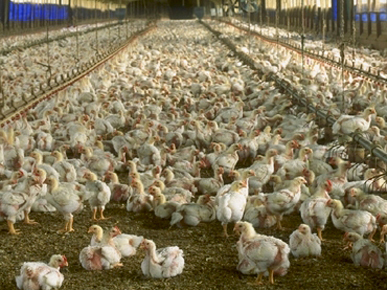 The stated goal of this program is to “improve the lives of farm animals by driving consumer demand for kinder more responsible farm animal practices.” Standards for certification are stringent, and include quality of life enhancements like providing ample space, adequate shelter, fresh water, a healthy diet of quality feed free of added antibiotics or hormones, and gentle handling to reduce stress. Confinement to cages and crates is prohibited. Producers with this certification are also held to a higher standard for slaughter practices. Visit www.certifiedhumane.org for more information. *Now available as a free app for iPhone and Android. *Animal Welfare Approved certification assures the most rigorous and comprehensive standards for animal welfare have been applied. This certification is only awarded to family farms who place the highest value on each animal’s comfort and well-being. Applies to multiple species. Based on best practice and research in collaboration with scientists, veterinarians, and farmers. Visit http://www.animalwelfareapproved.org/standards/ for detailed standards. *Whole Foods Market uses the Global Animal Partnership rating system to rank meats sold their stores. I strongly urge consumers to think twice before purchasing commercially farmed meat. Instead, choose to spend a bit more on meats produced sustainably and ethically. We have a responsibility to treat animals raised for our consumption with respect, dignity, and compassion. In doing so, we honor the sacrifice they make to nourish us. Thanks for providing some viable alternative resources for sourcing humanely farmed meat Jovina!